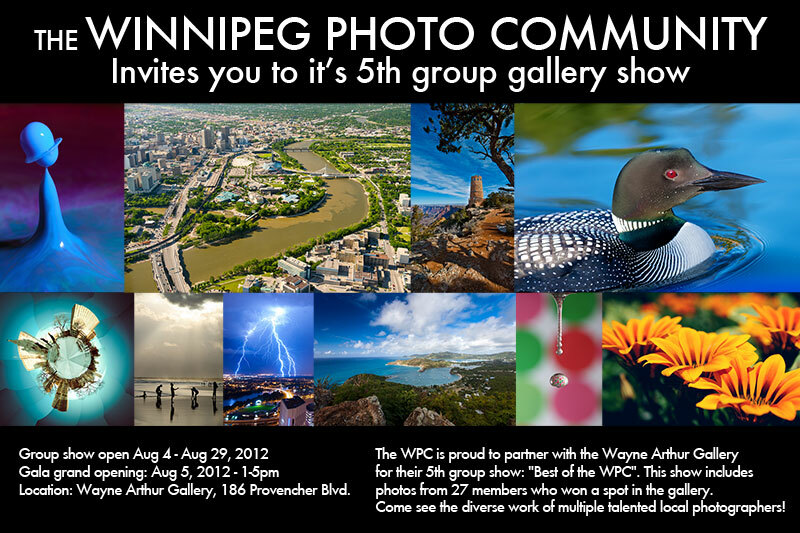 The WPC exists in order to promote all things photography in Winnipeg and throughout Manitoba. The community is completely free! 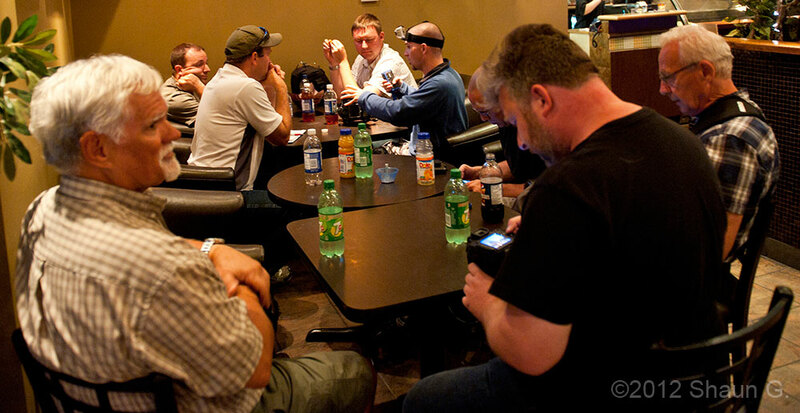 Become a part of the community by chatting with us in our forum, the most active photography forum in the province, or by joining our events. Proud supporter of the WPC! The WPC: Sponsored by nobody, supported by all! Please be aware that this page is no longer kept up on a regular basis and only some events are posted. For the full list of what's going on at the WPC, please visit our forums. Just a heads up to all members of the WPC forums that if the email you have on the forum isn't valid anymore (you changed from Shaw to MTS, you shut down your hotmail account etc) your account may have been set to "guest" status. 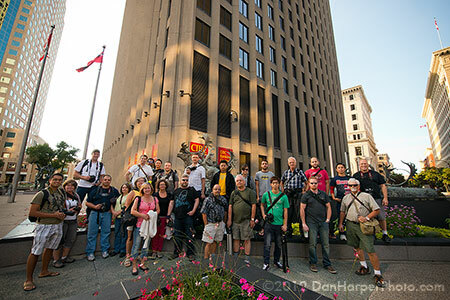 Please simply email "dan at WPGphoto.com " to have your account reactivated with your new email address. If you have a photo in the group gallery #5 don't forget to pick it up tomorrow, Wednesday, August 29th. We had about 30 people out for our monthly meeting and group photo walk. Always fun to shoot and talk with such a great group! Huge thanks to Shaun for getting some shots while I was busy! 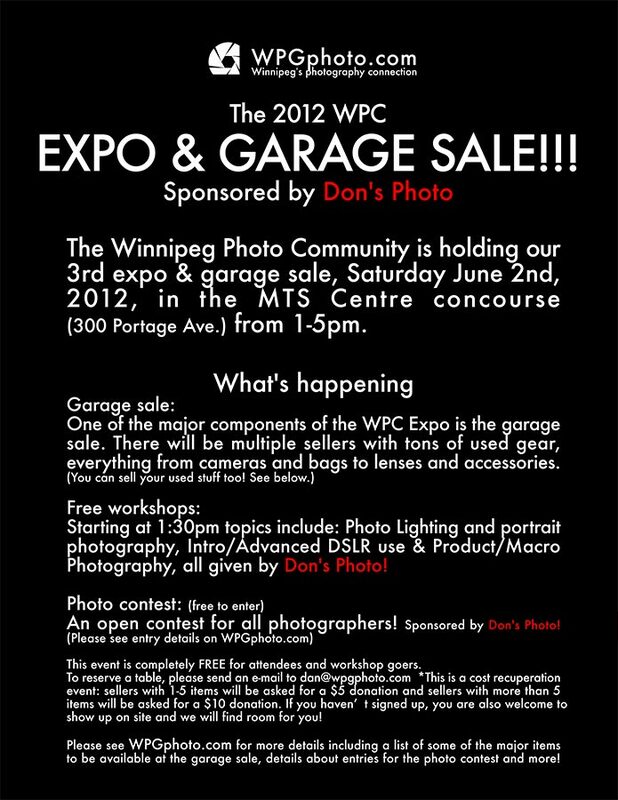 The WPC's Expo and Garage Sale sponsored by Don's Photo is June 2, 2012 at the MTS Centre. See the photo below for details and visit this thread (you need to be registered on the WPC forum, registration is free!) for full details.